Various grades of elements can be used for different applications. Absolute Rated Filters are used for critical applications requiring fine filtration and guaranteed effluent quality. 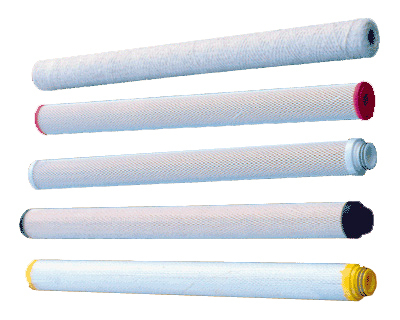 Nominal Rated Elements are used either as pre-filters before absolute rated elements, or a coarse filters, depending on job requirements. Dimensions - 29.5" L x 2.6" O.D. x 1.3" I.D.